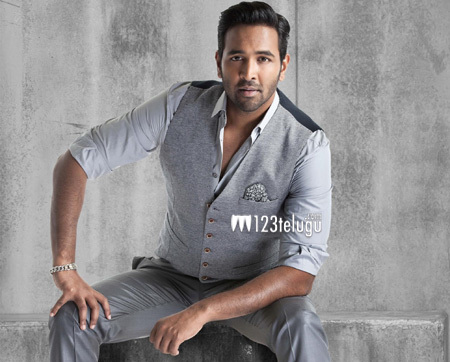 Vishnu Manchu is branded for wholesome family entertainers. After his super hit film Eedo Rakam Ado Rakam, he is working on new movie called Luckkunnodu under Raj Kiran’s direction. Vishnu has joined hands with Hansika Motwani to complete a hat trick after Denikaina Ready and Pandavulu Pandavulu Thummeda. Raj Kiran is known for directing horror comedies like Geethanjali and Tripura is dealing a differently entertaining subject Luckkunnodu which is bankrolled by MVV Satyanarayana on MVV Cinema banner. “Luckkunnodu first schedule is completed successfully in Hyderabad. Director Raj Kiran shot introduction, crucial scenes on hero Vishnu and heroine Hansika Motwani. Entertaining portions involving Vishnu, Posani, Vennela Kishore and Raghu Babu are also wrapped up. Our second schedule starts from Monday and will be commenced till November end to complete whole shoot. Luckkunnodu is a Vishnu mark love and comedy entertainer. I am delighted to have got associated with a good team,” said producer MVV Satyanarayana.